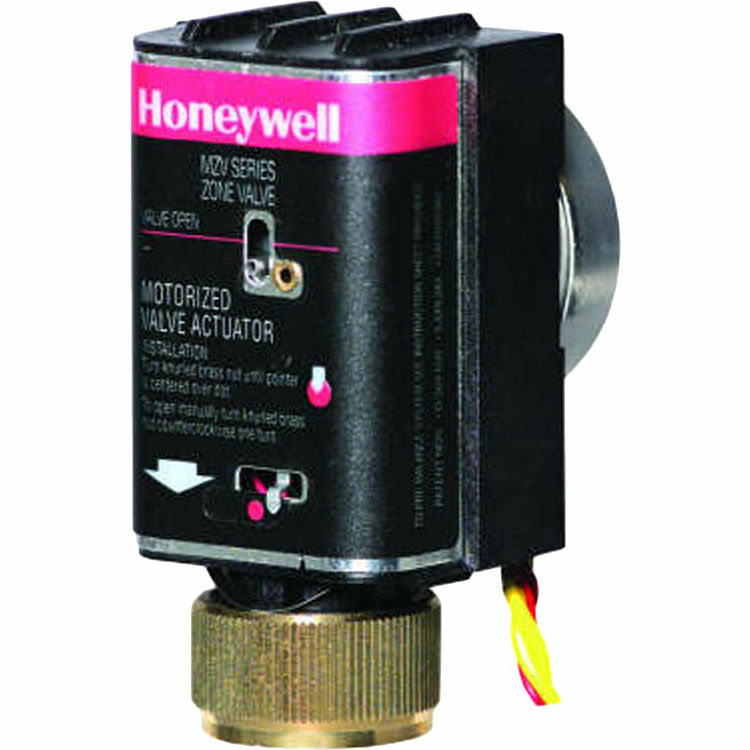 Honeywell MZV526-T Motorized Zone Valve. The Honeywell MZV Series is the first linear zone valve with a built-in balancing plug that permits pre-balancing for each zone. Rack and pinion linear design. Operator can be replaced without draining system. Large adjustable flow, 1/2 in. 3/4 in. Cv 5.8; 1 in. 7.0 Cv; 1-1/4 in. Cv 7.0. 4 wire operator with auxiliary switch. 2 wire without switch, 24 in. leads. USA Patent Nos. 5,529,282; D369,650; 5,941,500; 6,032,924. Fast acting, 15 seconds to open, 5 seconds to close. UK Patent No. 2,052,382. 24 VAC, 60 Hz, 0.25 ampere. Two piece rack design to extend service life. Low power consumption, 8 valves, 40 VA transformer. Quiet operation, no water hammer. Built-in tamper resistant balancing valve for pre-balancing. High torque, constant speed synchronous motor. Cooler running, longer life motor.